We handle many kinds of Family Law cases, including divorce, paternity, and cases involving children. We can recover what you are owed after any vehicular accident or personal injury you have experienced. We aid many clients in holding those responsible for medical errors accountable for their actions. 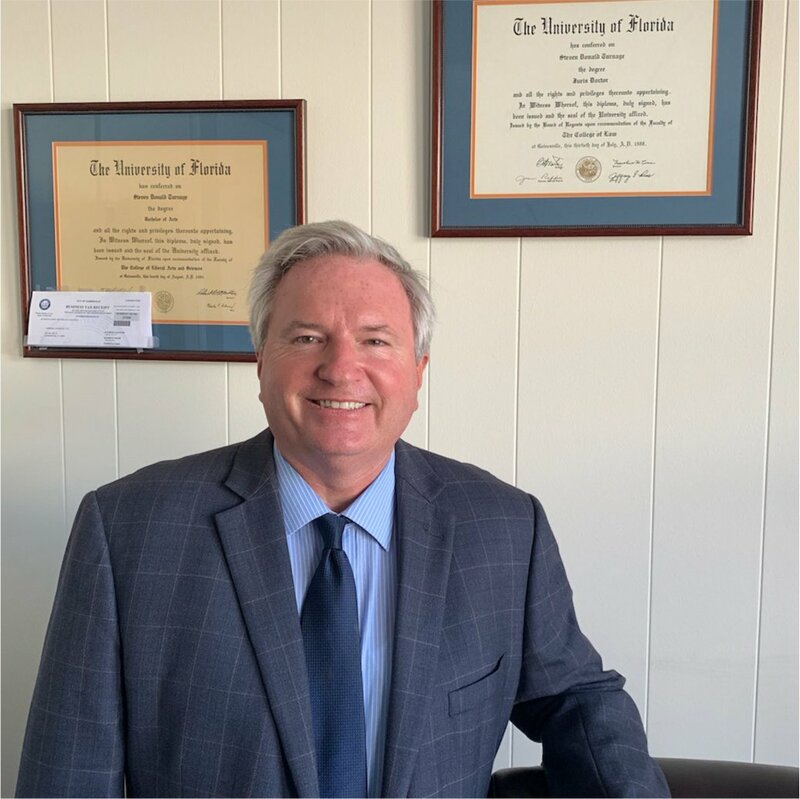 I have successfully represented hundreds of clients in family law, personal injury law and in other civil litigation matters in trial and appellate courts throughout Florida. My staff and I have forged and maintained relationships with many of these clients which have endured for years. If you need legal help, we would be honored to discuss your situation and to help you as we have helped many other clients over the course of my nearly 30 year legal career. At the Law Offices of Steven D. Turnage, we aim to provide clients with knowledgeable and effective legal representation. We want nothing more than your legal endeavors to succeed, and we love seeing our clients receive the benefits and compensation they deserve to aid in their recovery or support themselves and their families. We are experienced in a wide range of legal practice areas, and can help you with any personal injury, medical malpractice, or family law case. PRACTICE AREASOUR FIRM HAS YEARS OF EXPERIENCE AND A TRACK RECORD OF SUCCESSFUL RESULTS FOR NUMEROUS LEGAL SERVICES. With decades of experience, our team has honed their skills in the Family and Medical Malpractice areas of law. Steven D. Turnage and his team have handled hundreds of complicated cases, and have proven to provide positive results. Learn more about how our law firm can assist you with your legal matter.